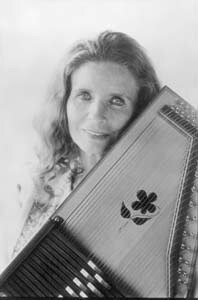 Autobiographical Autoharp: On her new album, June Carter Cash sings about her own musical past. Seeing a favorite artist play a show in a strange locale is always rewarding, but seldom has it been more so than the time I made a special trek to Reno to see Johnny Cash perform. A few days afterward, Cash retired from touring, having been diagnosed (or, as it turned out, misdiagnosed) with Parkinson's disease. That night he gave one of his last full-length performances. It was October 1997, and Cash--who was 65 then--only sang about eight songs before ceding the stage to his son, John Carter Cash; his wife, June Carter; and his stepdaughter, Rosie Carter. He also did some duets with June--"If I Were a Carpenter" and "Jackson"--as well as a sing-along of "Will the Circle Be Unbroken," a song written by June's mother, Maybelle Carter. Johnny Cash never fails to give his wife her due; nevertheless, there was a sense that night that June Carter Cash wanted, at long last, to be considered an artist in her own right. She even sang a song about it, titled "I Used to Be Somebody." One can hardly fail to see her point. Whether she is considered a crucial member of a legendary family or an accomplished songwriter, nobody deserves fame more than June Carter Cash, who--along with her mother and her aunt and uncle, Sara and AP Carter--was pretty much responsible for bringing Appalachian folk music to the masses. Way back in the '20s, the Carter Family recorded for RCA Victor and later played on immensely popular radio shows broadcast on 50,000-watt stations like XERA in Texas, which could be heard all over the country. Later, June and her sisters, Helen and Anita, accompanied their mother on tour as "Maybelle Carter and the Carter Sisters," promoting products on the radio, singing, telling jokes and appearing on tiny country-town stages everywhere, sometimes in between showings of Three Stooges comedies. In the 1950s, June moved to New York City to become an actress, before ending up as a permanent part of Johnny Cash's show in 1961. Mrs. Cash is always credited with getting Johnny off drugs and into Jesus before marrying him in 1968. Musically, however, her role in his life is even bigger: she wrote "Jackson," "Ring of Fire" and "If I Were a Carpenter," three of his biggest hits. That night in Reno, she talked about releasing a solo album (her first), which was slated to follow in the wake of Johnny's crossover success with the 1994 album American Recordings, which won a Grammy and gave Johnny a whole new audience of young people. But it's been 18 months since that show, and Mrs. Cash's LP, Press On, has only just been released on the much smaller Risk Records. According to June Carter Cash, speaking from her home in Tennessee, the idea for Press On first came from Vicky Robinson, an artist manager best known for discovering Guns 'N' Roses. Robinson saw June perform with Johnny at the House of Blues in L.A. when he was promoting American Recordings and became enamored of doing the same kind of record with Mrs. Cash. Robinson, Cash says, had a record deal for her three years ago, but she--June--didn't have time to do the record. "I had all the material--well, practically all--for a long time, but I was just too busy," she says. "Sometimes we'd sit around at home and sing some of these songs at family things, and everyone always said I should record them. And I'd ask, 'Well, who's going to help me?' And my ex-son-in-law Rodney [Crowell] would say, 'I will, I will.' And my ex-son-in-law Marty [Stuart] would say, 'I will, I will.' I was even going to call the record June Carter Cash and Her Ex-Sons-in-Law!" Cash finally called in those favors in November 1998, but Press On was delayed by various tragic events. In addition to her husband's illness (now correctly diagnosed as Shy-Drager syndrome), her beloved sister Helen passed away in June, and her other sister, Anita, has long been hospitalized with chronic rheumatoid arthritis. "For the last 20 months, I've just been going from one hospital to another," she says sadly. Cash herself is in good health, but like many older people surrounded by disease, she can barely keep herself off the topic of her husband's illness throughout our hour-long conversation. She is one of those women whose habit it is to put their husband and children first--to such an extent that it's strangely difficult to get her to alight on the subject of her own music. Press On, like American Recordings, is a very basic record, recorded with the kind of intimate, lo-fi production values that expose--and celebrate--the vocal quirks of Cash's flinty, true voice. It is a much less trendy record than American Recordings: The songs include some Carter Family classics and her own version of "Ring of Fire," as well as straight-ahead religious songs like "Wings of Angels" (about her sister's death) and "The Far Sides of the Banks of Jordan," which is done as a duet with Johnny. The album also includes some narrative, Cash says, "so that after you've listened to it, you'll feel like you know us a little bit better." Oval Time: A portrait of June age 5. But the real gems are the self-penned numbers, like "I Used to Be Somebody," in which she recalls walking from Harlem to Greenwich Village talking about fame with James Dean, and "Tiffany Anastasia Lowe," a song about her aspiring actress granddaughter that goes, "Tiffany, girl, go find an earthquake, go jump into a crack/Just don't let Quentin Tarantino find out where you're at." Johnny's resurrection as a popular alternative artist came about in part because he covered songs by modern songwriters, in particular Soundgarden, whose "Rusty Cage" he imbued with simple ferocity and charm. I asked Mrs. Cash if she considered doing any contemporary artist's songs on her record. "Well, I might have," she admits. "I've certainly progressed to the point where I love some contemporary things now, but this is the bunch of songs I did first, and it's just the type of thing I do. I am a Carter Family girl, so the record is book-ended with Carter Family songs ('Diamonds in the Rough' and 'Will the Circle Be Unbroken'). But inside that book, it's my life--all the places where I'm hurting or I laughed or I cried or I prayed. And I've had to pray a lot this year!" June Carter Cash, who is now 69, attributes her spirituality to her mother, Maybelle, who died in 1978, and whom she still misses desperately. "My mother," she recalls fondly, "just loved performing, and it must have been crazy for her. Do you know, she made every stitch we girls wore onstage--and without a pattern? She'd just look at us and cut out the size. And she did all the driving! We always had Packards, until the war, when they stopped making them; then we had a Cadillac. We never actually slept in the Packard, but we'd stay at these places called 'tourist homes.' Then they got these wonderful things called 'motels.' 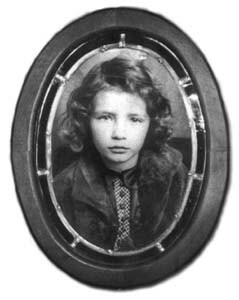 "
In those days, June was more of a comedian than a singer. When she was in New York City in the 1950s (which is where she met James Dean), she did quite a bit of TV (she was a regular on Gunsmoke, for instance) but would commute back to Nashville to appear at the Grand Ol' Opry with Patsy Cline, Hank Williams and others. Always, she says, she felt like the least talented member of her family--and even with two Grammies to her name, still does. "You know, you cannot grow up playing with Mother Maybelle Carter on one side of you and Chet Atkins [the Carter Family guitarist] on the other and think you're the most successful musician in the world!" she exclaims. Between touring with her family and, later, touring with her husband, Cash has spent an inordinate amount of her life on the road, but always, somehow, in a position that could be termed second-fiddle. She sounds surprised, however, when I broach that idea. "I was never looking back in regret. I never thought, 'Oh, why didn't I become an actress?' or 'Why did I just go paddling along after John?' I've always walked along right by his side, and he's always supported everything I do. He's just like my father that way--my father just adored my mother and let her do whatever she wanted. John's like that. He's a very rare man, a very good man, and I've had a good life with him. I'm proud to be walking in the wake of Johnny's fame." And Johnny, apparently, likes to walk in her wake as well. Asked if she's planning to tour, Mrs. Cash says, "It depends on how Johnny's feeling. If we go back on the road, we will go together. I'll go where he goes, and he'll go where I go." Happily, at the moment, Johnny's feeling fine. June will be playing several promotional shows later this month in New York and L.A., as well as on television, and Johnny may well appear with her to sing the duets that made them famous. From the May 13-19, 1999 issue of Metro.